Tim Ellis – Magician Melbourne » 2017 – A Magical Year! What an incredible year 2017 has been! It began with me performing on the Sun Princess as it cruised from Bali to Perth, and in a few days I get back on the same ship cruising from Port Vila to Sydney as I wrap the year up. I have to admit, this year I’ve done more cruises than ever. I really LOVE the beautiful theatres and excited audiences… I’m even starting to utilise the time spent travelling and waiting around very effectively too… so I expect even more cruises in 2018. I also travelled to New Caledonia for The Noumea Magic Festival, South Africa for The Secret Sessions with Boris Wild and Asi Wind, and Hollywood, USA for a week at The Magic Castle. In addition to my usual Mad Hatter Shows in schools and at private parties, my Strolling Magic Sessions, and my Comedy Magic Shows, I also got to compere several corporate Awards Nights including gigs for Simonds Homes and Harvey Norman. Plus there were many odd requests including a guest cameo on the ABC TV comedy series ‘Get Krack!n’, and a spot doing magic on the new series of ‘The Real Housewives of Melbourne’. (Seeing I’m such a fan of the series ‘UnReal’… how could I resist?). I appeared live on ‘The Today Show’ and even performed as an eccentric character role in a new short film for ‘Salvo Studios’. The Melbourne Magic Festival broke all box office records and I produced several shows including MagicSports, This Is Magic, and Professor Googalfitz Explains It All (which was an unexpected massive hit!) After ten years, the MMF is leaving The Northcote Town Hall and partnering with Circus Oz and their beautiful Melba Spiegeltent for a complete makeover in 2018. 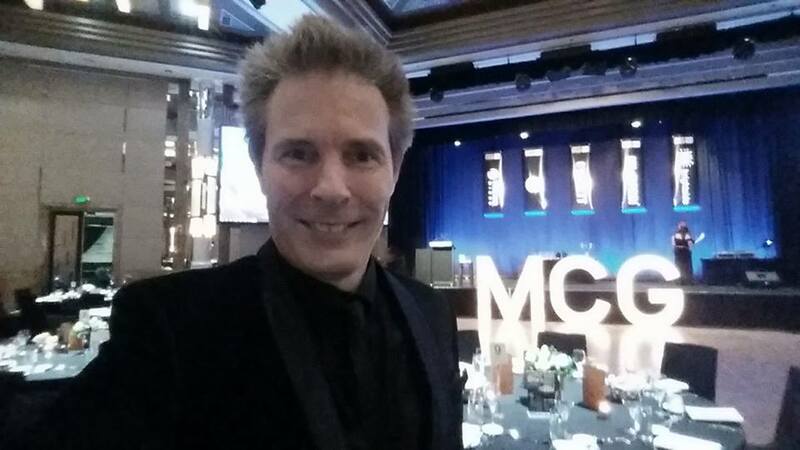 I became President of The Australian Institute of Magic and we selected Australia’s representative to the FISM 2018 World Championships of Magic – Illusionist John Taylor. We also began a collaborative partnership and The Channel, Melbourne Arts Centre for our Magicians At Work nights, which has been successful beyond our wildest dreams. But the biggest news for me was the construction and launch of Australia’s only purpose-built Close Up Magic venue, The Laneway Theatre. The build began in June and our first show opened in August. Shows like ‘Sleight Night’, hosted by Nicholas J Johnson, are so popular they sell out two months in advance. 2017 has been a year filled with unexpected surprises and lots of incredible new friends. 2018 is already booked until August – so not so many surprises there – but the gigs locked in are all new and exciting adventures I’m really looking forward to. So goodbye 2017 and thanks for the ride!